Today I played a game on the google main page. This was like a scratch game that you use controls for to be able to make the rabbit walk. 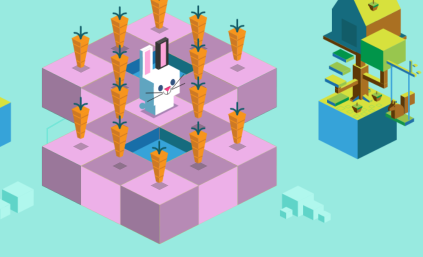 The main aim of this game is to collect all the carrots in front of the rabbit. In the start of every game you had a practice run through to make sure you understand. This is a great game to play in your free time and to see how good you are at controlling.